with locations in Bracebridge and Huntsville. Click ​here​ to turn your dream kitchen into reality! 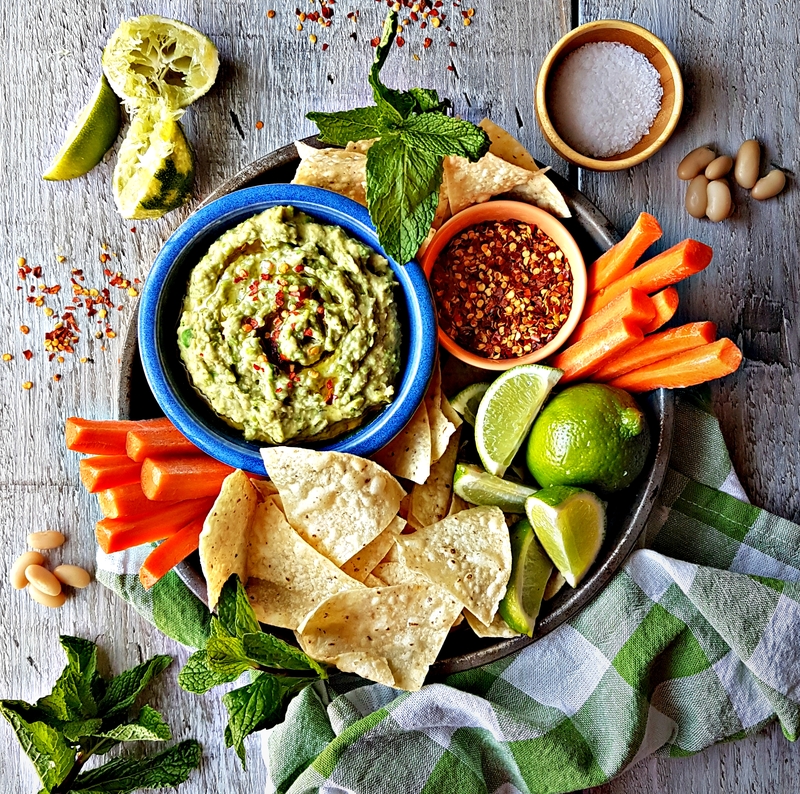 Dips are a fun, healthy and fuss free way to satisfy a crowd while whipping up Easter dinner. Place beans in bowl of food processor fitted with metal blade. Pulse until well chopped. Add remaining ingredients (except for oil). Pulse until well combined. With motor running, drizzle in oil. Pulse until well combined (if you find dip too thick, add a tbsp or two of water). Serve with an assortment of veggies & flatbreads and/or crackers. Makes about 3 cups (750 mL). ~stir ½ cup (125 mL) with a can of tuna for a sandwich filler. ~ slather a spoonful on a piece of cooked salmon or chicken. A simple and nutritious side dish. Preheat oven to 400 F (200 C). Cut carrots in half crosswise, then in thick ‘french fry’ sticks. Toss with oil, cumin, garlic, salt, pepper and paprika. 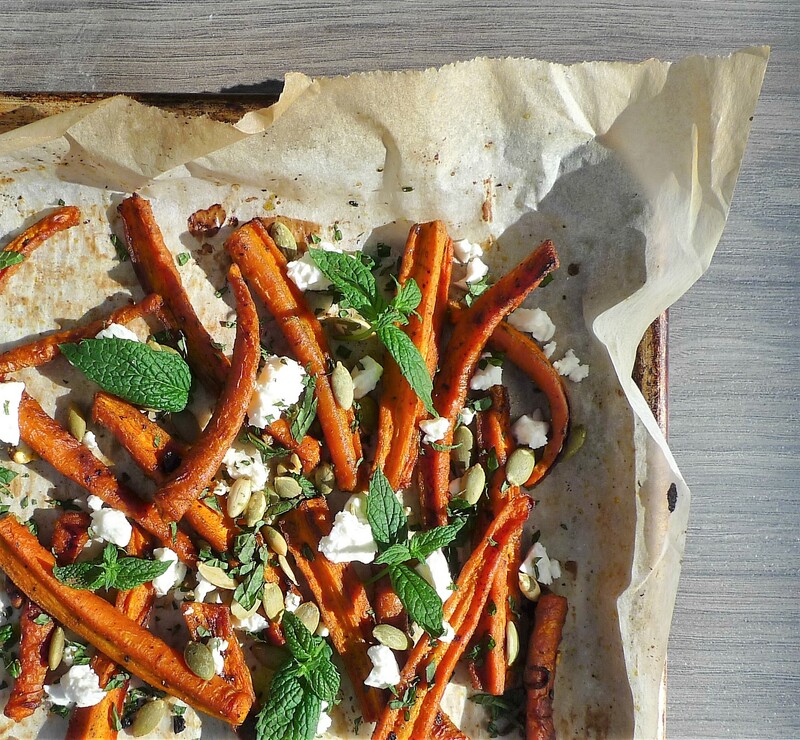 Place carrots on a large baking sheet lined with parchment paper. Bake in center of oven for about 25 minutes (until golden on edges), tossing once during cooking. Remove from oven and place on platter. Garnish evenly with feta, pumpkin seeds and chopped fresh mint. Serves 4 as a side dish. A perfect sweet treat if you’re entertaining an Easter crowd. 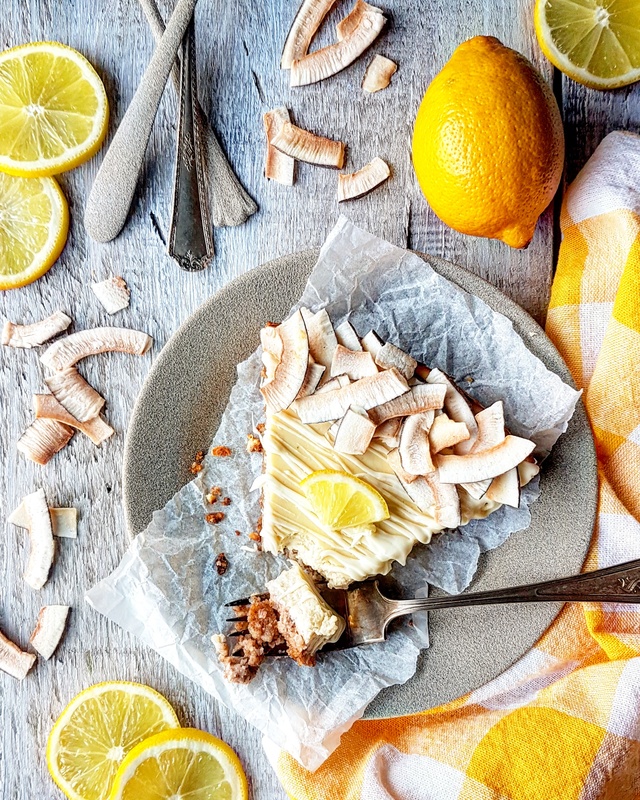 This lemony cheesecake comes in a portion of the calories and fat compared to a traditional cheesecake = an ideal excuse to have seconds!! Garnish: melted white chocolate and large flaked toasted coconut (found at bulk food or speciality food shops). Stir together crumbs, coconut and butter. Press evenly on to bottom of a well greased 10-inch springform pan. Bake in centre of oven for about 10 minutes (or until edges are light brown). Remove from oven and cool completely. Meanwhile, place all cheesecake ingredients (except for ganishes) in bowl of food processor fitted with a metal blade. Pulse until well combined. Scrape sides when needed. Pour mixture onto prepared crust and bake in center of oven for 45 minutes (or until edges are firm and centre of cake is slightly jiggly). When finished baking, turn oven off and open oven door slightly. Let cake cool in oven for 15 minutes (with door open) before removing. Remove from oven and cool completely. Cover and refrigerate until ready to serve. When ready to serve, drizzle with melted white chocolate and sprinkle with toasted coconut flakes. Makes 8 servings.